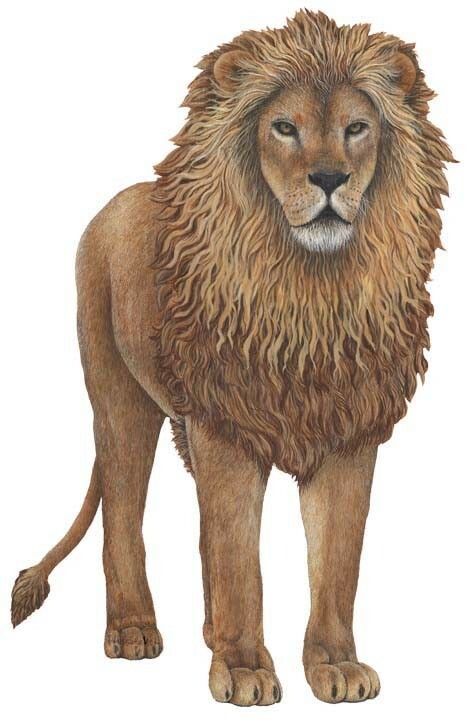 Take a look below at our selection of Farmyard themes including Giant Wall stickers and Farmyard Wallpaper murals, A selection of lifelike Farm Animal wall stickers. 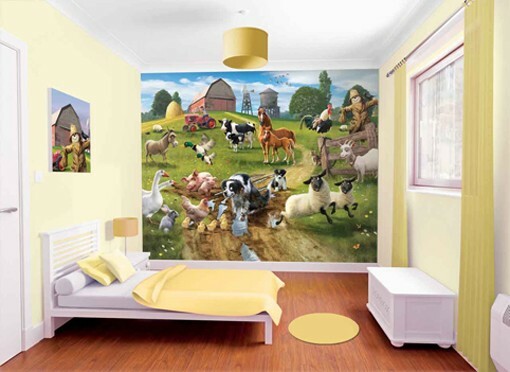 An amazing whole wall farmyard Scene. This set includes a total of 65 individual stickers that will make a fantastic unique Farmyard scene. 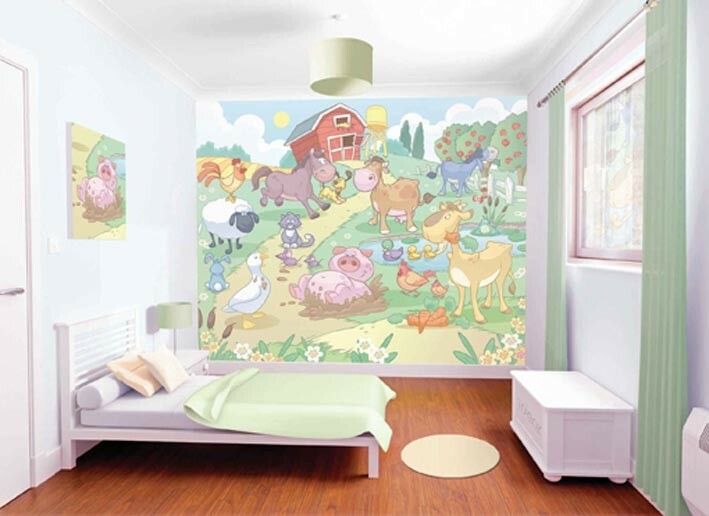 This set includes a total of 65 individual Large Wall stickers that will make a fantastic unique Farmyard scene. A choice from a selection of 6 Farm animal wall stickers. This wallpaper mural has all the Farm Animals you can think of plus a Barm and trees all set in a Farmyard setting. 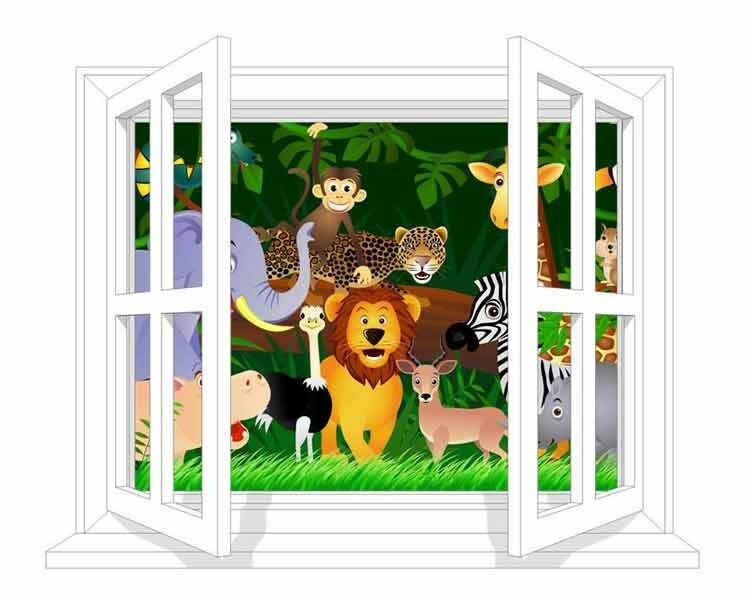 This childrens wallpaper from the award winng Walltastic is easy to hang. Made up from 12 pieces, each piece just butts up to the previous piece. 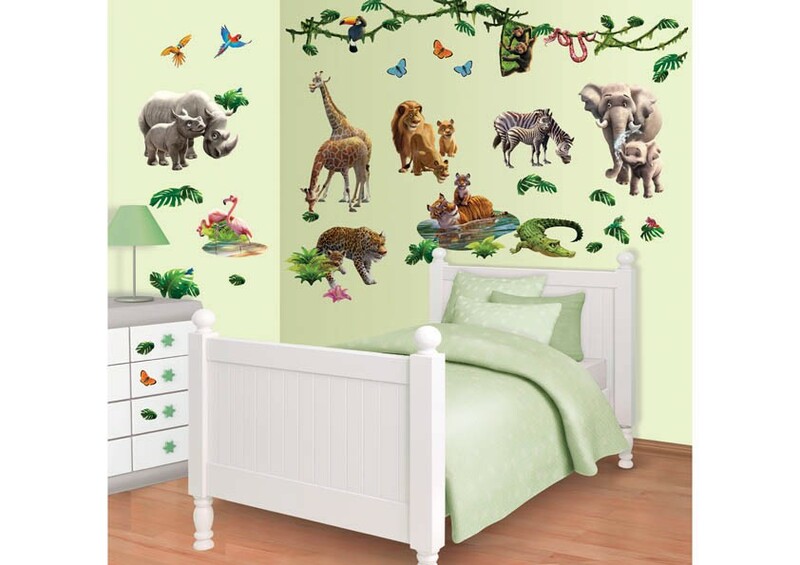 The result is a fantastic feature wall that youg children love.